Entry Wrist Bands can be purchased on the door. Like all our shows will be within the Stafford County Showground ST18 0BD, inside the Argyle and Sandylands Centres. 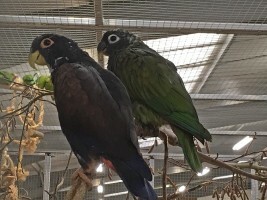 Although the Help Bird Keepers Show, is a much smaller show than the National Exhibition or the summer show, it is the ideal opportunity to get those essential items needed to keep your birds in tip top condition over the winter or even acquire additional birds to make up those pairs ready for next years breeding season. This also means it's a good opportunity to sell any left over stock or late bred birds not quite ready for sale at the National. 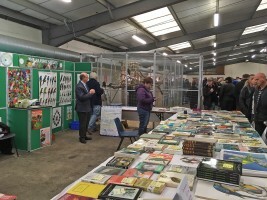 As always there will be many trade stands there selling all the essentials for keeping birds, so whether you are a hardened breeder or owner of a single pet budgie, there will be something there for you. Once again, children under 16 accompanied by a paying adult enter free. Please Note: There is no holding room facility at this show.